This is a simple tip that can make a big difference to your home remodeling efforts. You may have just spent a lot of time, and also a lot of money getting the front of your home looking just right. Whether this was to make it a nicer place to live, or to increase the value so that you can sell for a profit, you don’t want to ruin the look with a cracked paint job. 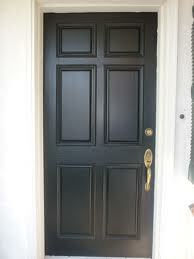 The major problem for a black painted front door is heat. When any painted surface overheats the material is going to melt and crack. It will buckle and the paint will start to buckle. You can get this problem with wooden doors but for steel and plastic the effect is going to be even more dramatic. South facing doors are going to get a lot of sunlight on them so they will be effected the most, but the type of door and the color that you paint it will have a big impact too. If you have glass storm doors you will know that they can act like an oven if they are in direct sunlight all day long. The plastic trim that surrounds the glass can quickly melt because that space between your main door and the outer storm door gets to a very high temperature. If there is caulking around the inner glass this can melt and ooze down the door. It’s advisable to remove the glass from storm doors and use a screen instead. When you are choosing the color to paint you door you have to think about how much heat it is going to absorb. The darker the color the more UV rays are going to be absorbed. These rays from the Sun will build up heat on the surface and the trim. If the door absorbs a lot of heat then it will begin to warp and distort. It is actually possible to get a measure of how much sunlight each color is going to absorb. This is called a Light Reflectance Value, or LRV and you should look at the LRV index for paint colors that have a percentage of 55 or higher. The higher the percentage the more light will be reflected, and the cooler the door will remain. 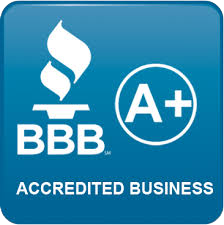 Some door manufacturer will actually void your warranty if you use a paint that has an LRV rating below 55%. The worst doors for overheating are metal doors. In the summer months they can get so hot that they can burn skin. They also often have a metal or glass trim that can easily get damaged in the heat. If your doors are south facing it may be advisable to replace metal them with wood or maybe fiberglass. It is really important that you paint them with a light color if you aren’t able to replace them. Wood doesn’t have the same capacity for collecting heat but it can shrink and expand under heat change and this can lead to cracked paint and an ugly empty line where the color has shrunk away from the edges. It is possible to get specially designed doors to counteract this issue. Whichever way, we really recommend you don’t paint your front door black.